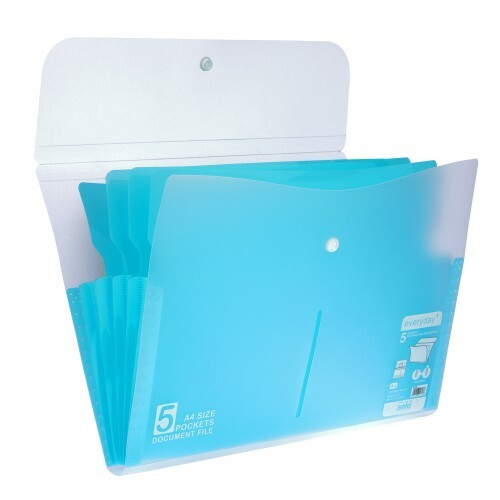 This file is made to be A4 Size Compatible so that you can easily place all your important papers, sheets and documents in it. 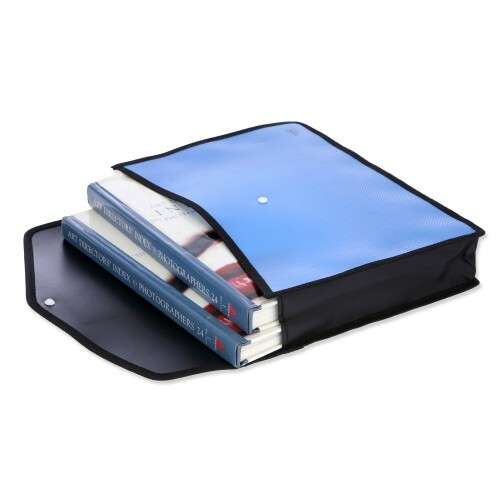 The Solo New UniQlip File is equipped with Patented Clip for easy handling of documents. 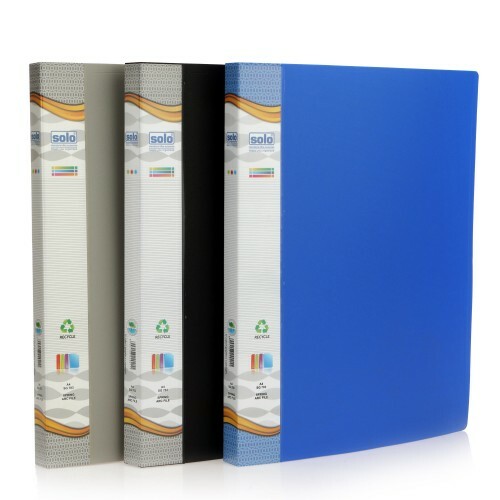 The rivetless construction of this file makes filing of the papers effortless and gives high quality finish with Extra Smooth Edges. 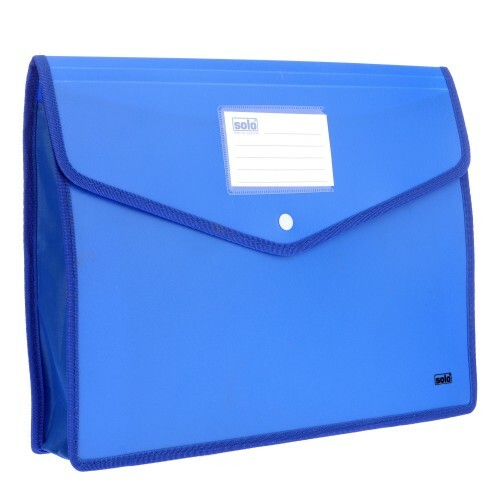 This file can hold up to 150 Sheets at one time and has no obstruction in paper path if and when the sheets are shuffled. Shuffling can be done without any obstruction in this Solo UniQlip File. The Full Length Springs Reach up to the base of the prongs. 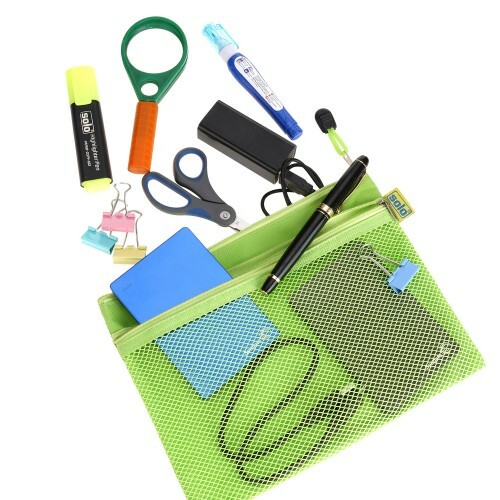 This Solo New UniQlip File has Wire Prong Duo Mechanism, making it easy and convenient to store the papers in it. 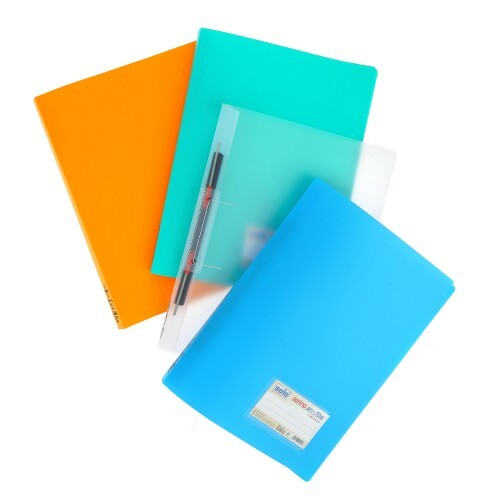 No of Pieces : Pack of 1 piece. Unique slip -out mechanism facilitates one hand operation to lock/ unlock clip in place. 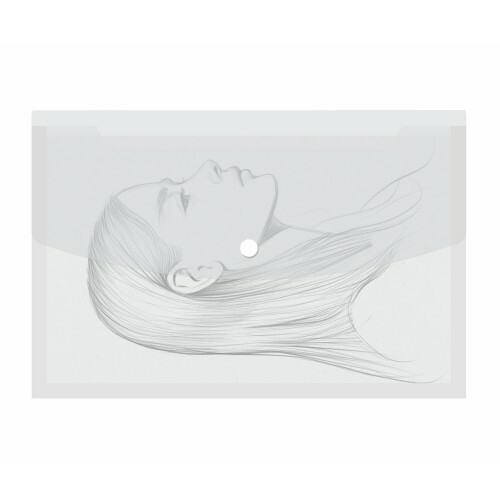 Dimensionally accurate components makes filing effortless. Patented new "Uniqlip" & wire prong duo mechanism. 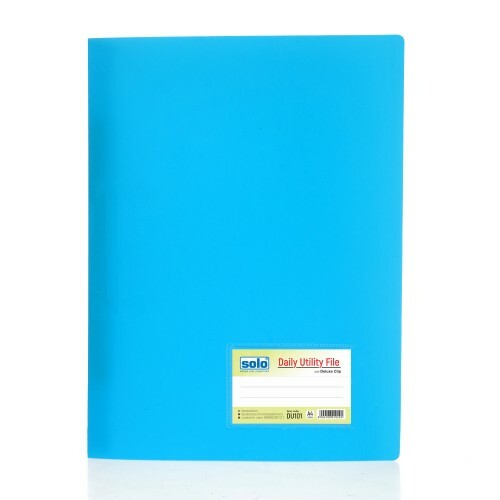 Can file in upto 150 sheets. 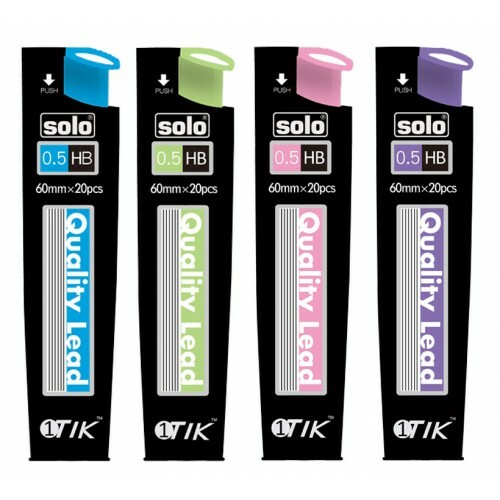 High quality finish with extra smooth edges. Full length springs reaching upto the base of prongs . No obstruction in paper path when shuffled. 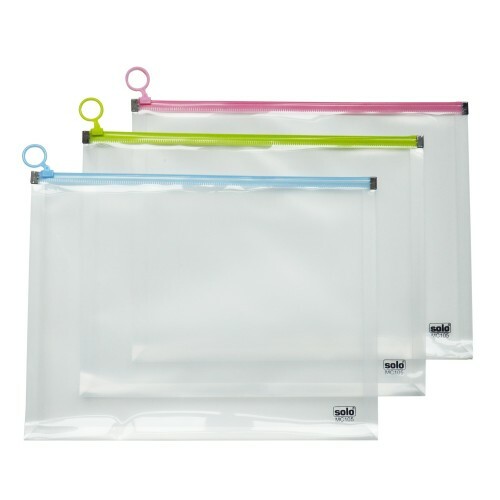 Internationally acclaimed20 leads in a cartridgesSuperior quality high polymer leadscompatible Size:..
A5 sizeProducts Code: MFA52Type: Multi-Function BagNo of Pieces: Pack of 4 piece.Color: RED, YELLOW,.. 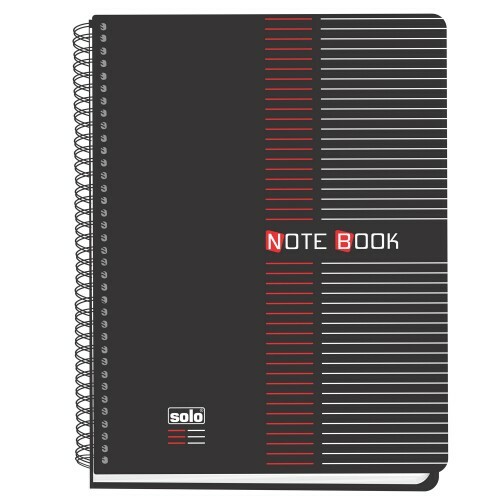 Product Code: NB 552Type: Executive NotebooksSize: B5GSM: 70Length: 187mmWidth: 245mmNo of Pages: 10.. 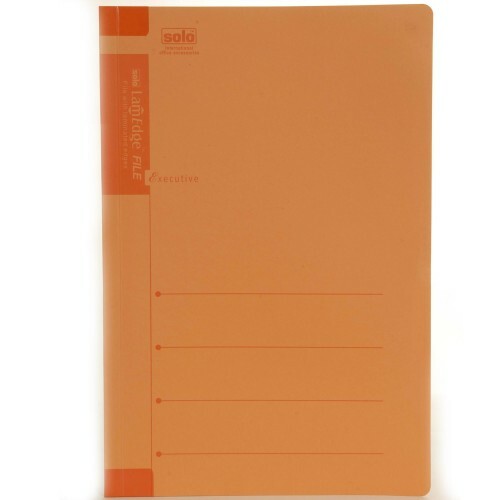 The Solo LamEdge File is an A4 Size Compatible File in which you can place all your import..